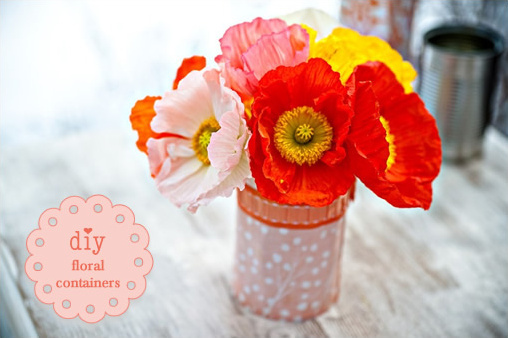 These Do It Yourself Floral Container Covers by Cori Cook Floral Designs can be easily personalized and you can start today. So simple and tasteful. Be sure to see all of our wedding diy projects. 3. Containers to cover, like bud vases, square vases, cylinder vases, empty cans, etc. 1. 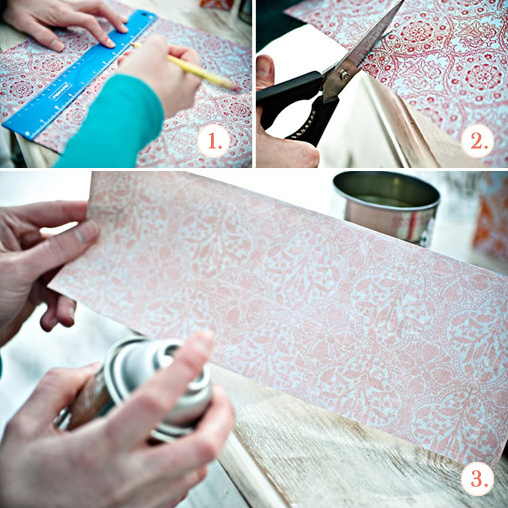 Choose the container you would like to cover and measure a strip of the scrapbook paper to fit around the container. 2. 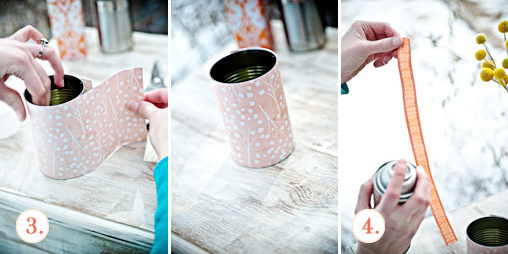 After measuring, cut the scrapbook paper into a strip that fits around the container. 3. 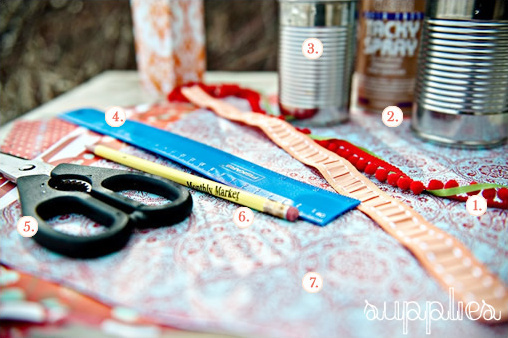 Spray a thin layer of the spray adhesive onto your scrapbook paper strip on the side you want adhered to your container. Wait one minute for the spray adhesive to get really sticky. Then, carefully adhere the scrapbook paper strip to the container. 4. 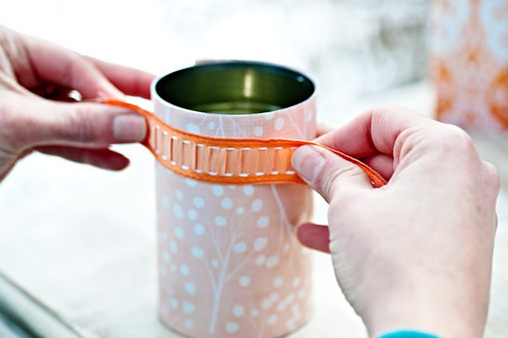 To add more interest to your covered container, spray measured pieces of ribbon with the spray adhesive and adhere to the container. 5. Then, fill your container about half full with water. Cut flower stems at an angle to ensure they get the most water pumping through their stems. 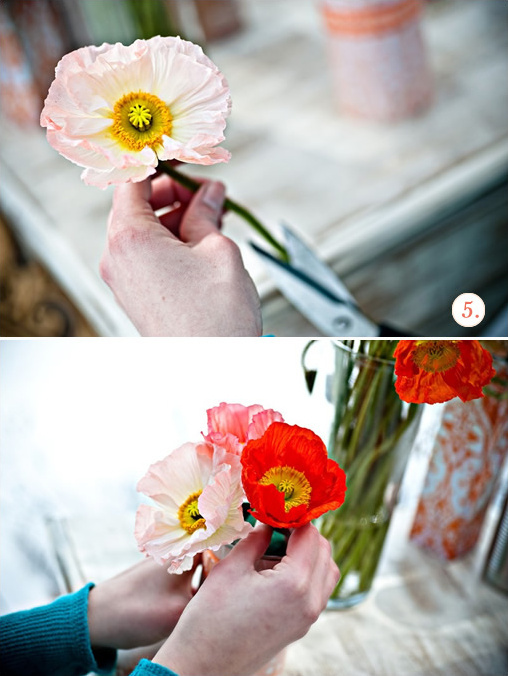 For a more hand-picked feel, simply cut the stems and place in the container. For more of a controlled, full look, you can use floral foam. 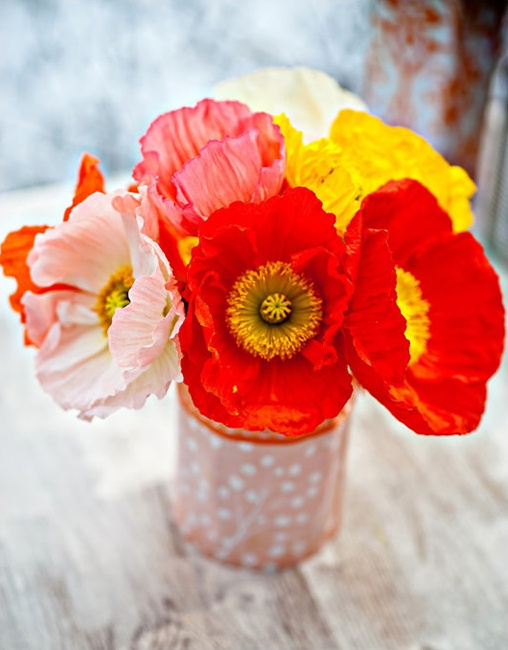 Simply cut the floral foam into a piece that fits snuggly into your container and insert stems into foam. This method of covering different containers can work for a variety of containers and creates a fun, custom look for each vase covered. Great for bridal showers, centerpieces, place cards, and votives. For larger containers, you can use a fabric covering using the same methods of adhering the fabric. Be bold and be creative! Cori Cook Floral Design & Flourish Studio Photography are both preferred members and proud sponsors of The Wedding Chicks! If you are looking for some Denver wedding flowers or a Denver Wedding Photographer here are your gals.